A new pharmacy, conveniently located in downtown Eatonton inside the Piggly Wiggly store at 228 N. Jefferson Avenue, is welcoming customers. 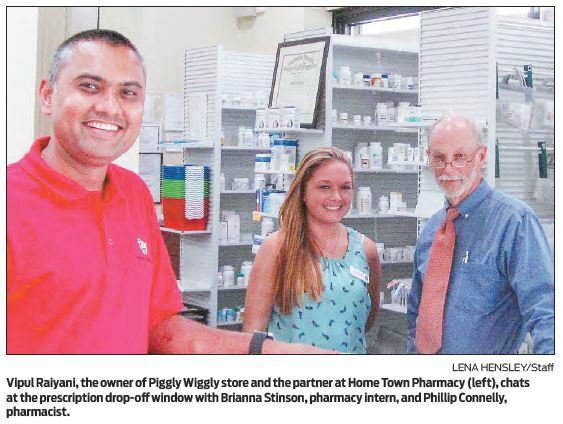 “By having a pharmacy here, Piggly Wiggly is a one-stop shop where the customer can fill the prescription or buy groceries while the prescriptions are being filled and be done with it in one stop,” said Vipul Raiyani, the owner of Piggly Wiggly store and the partner at Home Town Pharmacy. Home Town Pharmacy offers very competitive cash prices and accepts most major insurance companies. To use services of the Hometown Pharmacy, patients may request their doctors to transfer their prescrip­tions there. In addition to selling medica­tions, the Home Town Pharmacy also does blood pressure screens and MTM therapy (when all the medicines the patient takes are discussed, whether or not they are purchased at this pharmacy). 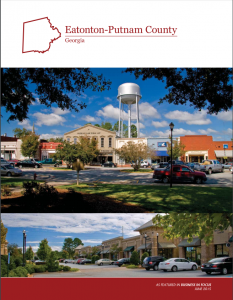 Home Town Pharmacy is one of the three pharmacies owned by Scott Stinson with another one located at Lake Oconee and one more being in Athens. According to Raiyani, all three have the same owner, but are based on a different kind of partnership. Connelly, who works at the Eatonton store, says that people don’t have to wait for prescrip­tion medications long. He has everything ready as fast as within 15 minutes. Although he only has been working at the Home Town Pharmacy for about two months, Connelly has 41 years of experience as a phar­macist. A long-time Georgia resident since the age of 4, he got his pharmacy degree at the University of Georgia and opened his own pharmacy in a Hospice in Social Circle 12 years ago. “I enjoy talking to people. I enjoy helping people,” said Connelly, answering a question why he liked his job. He said he is seeing more and more new customers every week. Home Town Pharmacy is open 8 a.m. to 6 p.m. Monday and Friday, 9 a.m. to 6 p.m. Tuesday through Thursday and 9 a.m. to 3 p.m. on Saturday. For more infor­mation please call 706-816-2879.